It was one of those late March weekends, when nature and weather are still undecided whether it is already spring or not. 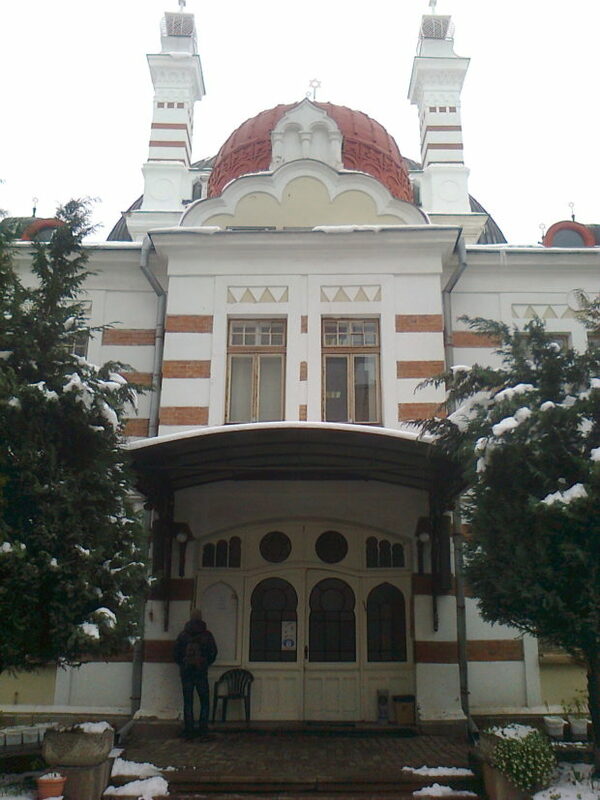 I have arrived to Sofia by bus on an early Friday morning and my first steps in this city of wisdom were diving deep into the thick layers of omnipresent snow. This freezing weather was strongly underlying the post-Soviet character of the city and thus my first impression made me feel like Iron Curtain has never fell in this place. In a first place I have been really curious about the highly-developed ecumenical character of this city that hosts all of the temples of major European religions directly on its main square closely in a relatively close distance from each other. It was more or less expectable that this high level of religious tolerance could be found in practice predominantly within the city of wisdom. My first steps went into the synagogue that was one of the biggest of its kind in Europe. The fact that it was also the only one of the four main temples in which visitors had to pay for entrance put an ironical smile on my face, because well-known profit-making character of Jewish community (oftentimes found in stereotypical politically incorrect jokes) was traceable over here as well. 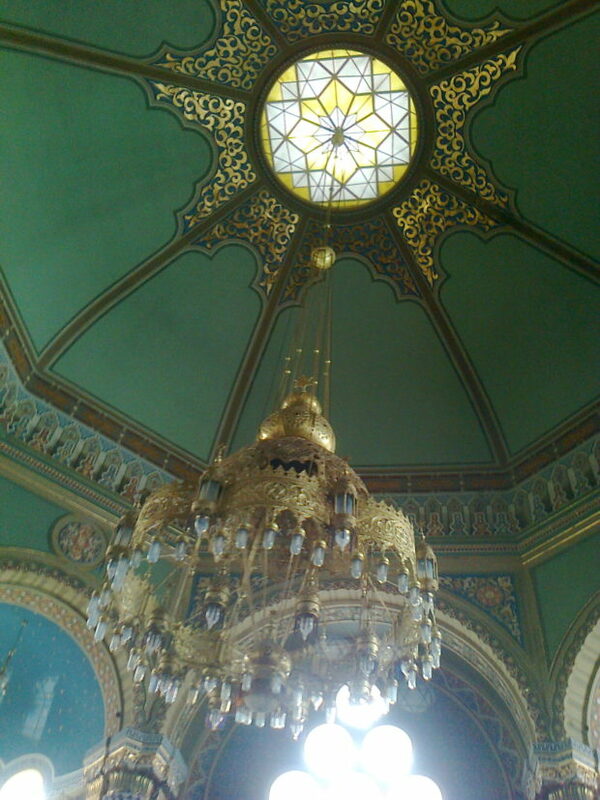 The interior of the synagogue itself contained relatively modest decorations with numerous references to number eight. In a Jewish community this number has a great importance especially for males, because on the eight day Jewish boys get their names and circumcision. The guide inside of the synagogue also informed us that this temple was built by a Viennese architect F. Grunanger at the end of the first decade of the 20 century. By the end of WWII, one of its walls was damaged by a bomb that allied plane threw from the sky. Luckily enough, the bomb did not explode, so the damage was relatively small. At the end of this historical overview introduction to the synagogue our guide jokingly added: “Well, unexploded bomb … a miracle you might say … or maybe just a low quality of an allied bomb. ” This ability of Jewish community to keep the sense of humor even in connection with grave topic keeps surprising me over and over, when I encounter it in practice. My next objective was to explore the temple of Orthodox Church that was symbolically dominating the square on the top of the hill. 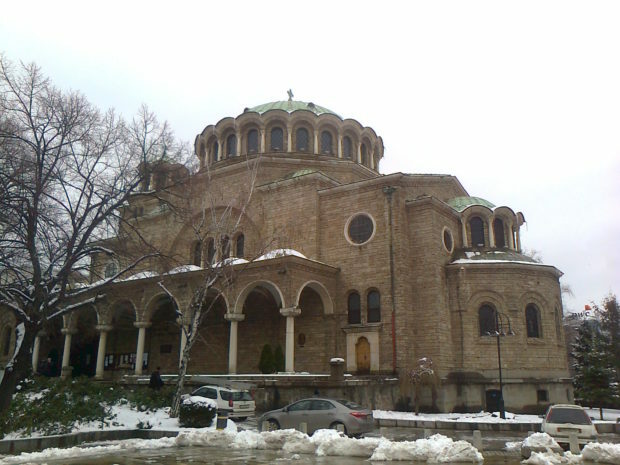 This place seems to be the most accurate for a temple of the religion that is the most widely worshiped in Bulgaria. 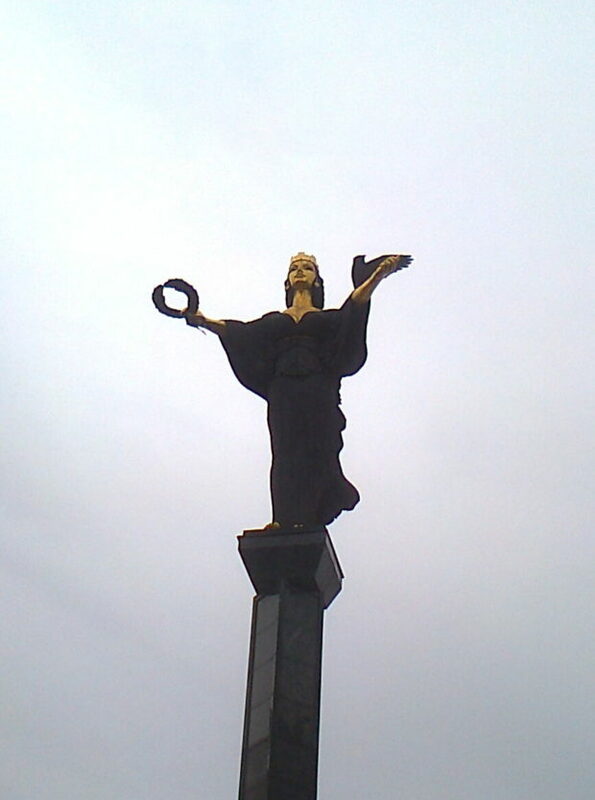 Walking to the orthodox temple, I have passed the great golden statue of Sofia with raven and wreath in her hands, which was supervising the traffic on the city`s world-famous yellow road. This road was built by a numerous bricks of highly contrastive yellow colour as compensation from the Soviet Union. The highly contrastive yellowness of this road put a large smile on my face when I realized that Sofia is indeed one of those fairy tale opulent cities in which streets are paved with gold. The temple of Orthodox Church was a truly magnificent place. Numerous decorations and icons in combination with the enchanting smell of burning candles created a very warm and familiar feeling of cozy place immediately after the entrance. Watching all of those stories from lives of saints depicted in numerous icons and frescoes made my comic-book loving heart jump with joy. At certain point I was bit puzzled by the fact that the visual narratives in the top part of the temple were significantly darker from those in the rest of the temple. When I questioned the priest about this phenomenon, he explained to me that it is the result of the smoke that constantly raises up to the ceiling from the small burning candles. Richness of these icons could be traced not only on the very peculiar technique, but also on the common usage of the silver that helped to emphasize the greatness and intensity of the halos that saints had above their heads. In the corner of the church there was also a holy place in which one of the local saints found his eternal rest. Dried body remains dressed in wonderful purple robe with golden decorative embroidery were fully visible in lying below the glass, so that believers could visit and pray nearby anytime they feel like it. 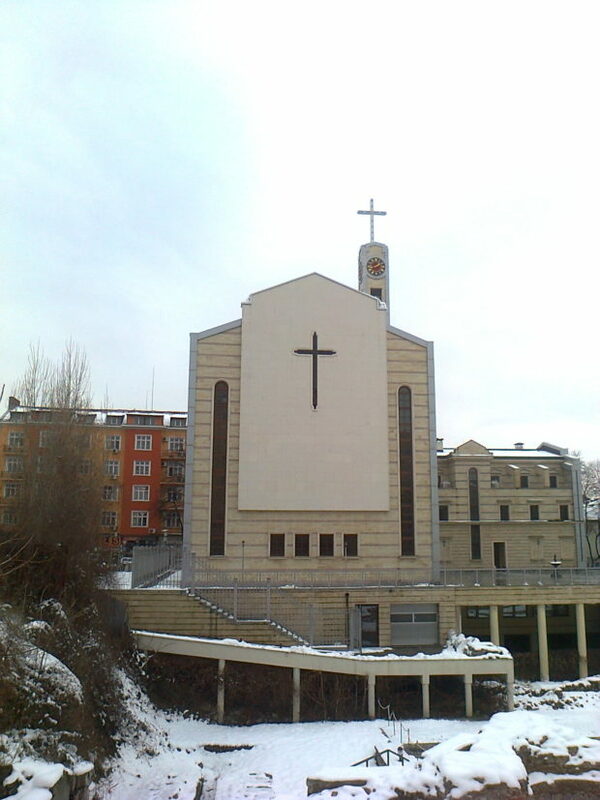 Unfortunately, the photographing was not allowed inside of this church and thus I just captured it from the outside. The next temple that I had on my tourist menu was the Roman Catholic church hidden below the yellow road few hundred meters behind the back of golden statue of Sofia. It was definitely the most modern out the four main temples on the square and unfortunately it was also the only one that I did not get the chance to visit from the inside, because it was temporarily closed. For this reason, I have immediately replaced its place on my tourist menu by a nearby vegan restaurant called Edgy Veggy. This small and cozy place was full of various irresistible smells and flavors that helped me to satisfy all of my current needs apart from the spiritual hunger. 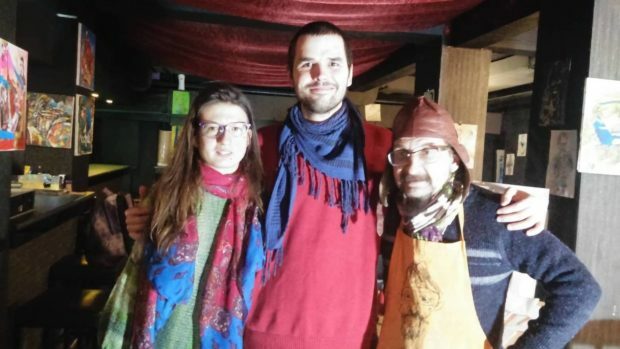 Actually, the fact that I have found on the bookshelf of this veggy place a copy of Spinoza`s Ethics have just raised my appetite and curiosity for spiritual explorations within the city of wisdom. Thus, after the delightful lunch I have decided to go to visit the only remaining temple on my tourist menu – mosque. 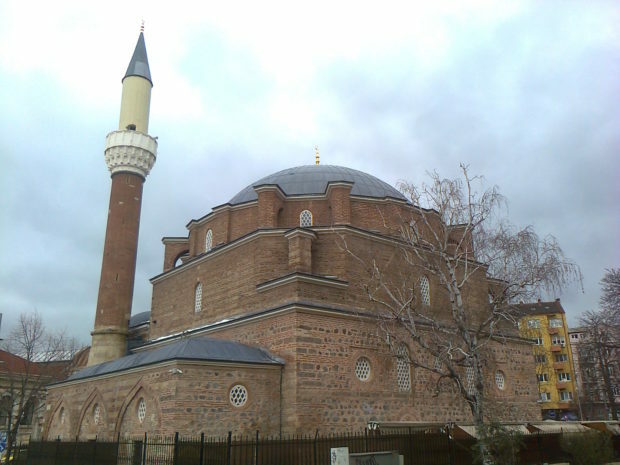 The last, but definitely not the least temple that I planned to visit in the center of Sofia was Banya Bashi Mosque. Before entering this Islamic sacred temple I had to put my shoes off and enter it only in my socks. But no worries, all the floors of this temple are fully covered by smooth thick rug, which creates a wonderful tender impression like being at home at God`s living room. Supervising Muslim lady inside of the mosque was very kind and she told me few basic that should be known in order to properly understand how exactly the praying and services in this sacred place work. The carpet on the ground was helping believers to feel to make the process of praying with their bend heads down to the ground as comfortable as possible. 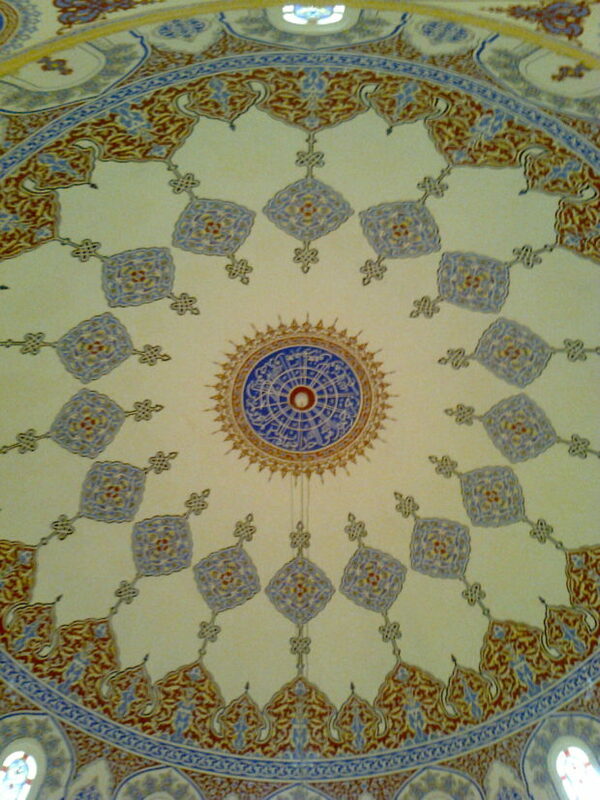 In the front part of the mosque there was divided into three main parts. The one on the right corner was called minbar and it created an impression of a stone made balcony with the stairs. Minbar is a place from which imam usually gives sermons or speeches to the believers during the regular services. Within the left front corner of the mosque there was a small stone made platform with a little balcony, which remotely looked like Minbar, but it was much much smaller in its height. This spot is called Haram and it could be used by imam as well as by the believers in moments when they decide to have open spiritual discussions about verses from Quaran inside of the mosque. In the middle of the front part I could also see the mihrab, which is a small semi-circular space within the wall that marked the direction of the direction of Mecca which Muslims face during prayers. The clean and silent environment inside of the mosque helped me to forget the outside world for a while and spend some time with my thoughts and prayers. It was a very enriching experience to stay for a while in this God`s living room. By the end of my first weekend stay in the city of wisdom,; I have also been invited to a body-painting jazz session that was definitely one of the most powerful pieces of experience that I had during my stay in Sofia. It was taking place inside of the small bar called Jazz Club, in which my friend Marina was being asked to be a living canvas for local master painter with moniker Donatello. This man was artist on a first sight – he was wearing an old vintage pilot’s hat which covered his stoically friendly face. Before the start of body painting session we had to wait a little bit until the heaters raise the temperature inside of the bar to such a level that it would be comfortable for Donatello`s muse Marina to take her clothes off and be a living canvas for few dozens of minutes. We spend this time of waiting by chatting with Donatello, while Marina was translating back and forth to both of us (from English to Bulgarian and back). Donatello revealed to me that he is a great jazz lover and few years ago he has also spent some time living in the capital of my homeland, Bratislava. While drinking a tasty Czech draft beer and listening to Donatello`s stories from the times, when he lived in Bratislava, the place immediately started to feel like home. At certain point, Denis` presence on the stage was joined by few more musicians that started to play irresistible funk and jazz grooves with him as a band. This energizing music set Donatello`s imagination on fire and eventually more complex images started to appear on Marina`s skin. At the height of this musical heat, Donatello painted also an image of an Virgin Mary and Baby Jesus to Marina`s back. This highlight of the whole piece was a reference to that day`s traditional feast called blagoveshtenie by which Bulgarian believers from Orthodox Church celebrate annunciation and eventually also the arrival of spring. When the whole masterpiece was ready, I could not believe how fluently and organically Donatello was able to turn most of muse Marina`s skin into a living gallery. The most fascinating part of the body painted result was the fact that it was 3D. Looking at the paintings on Marina`s body from each angle felt slightly different. Her belly was the center of cubist shapes, her legs were covered by impressionistic blurs and spirals with abstract qualities. After the presentation of the final piece, Marina went to take a shower and I spend last minutes of the session in the presence of electrifying funk rock jam of the band. I am 30 years old traveller and art-lover from Slovakia, staying in Greece throughout the whole year of 2018. My main interests are nature (of reality), board gaming, music and visual arts. Thus I love to report mainly about the local cultural events and writing interviews. Since the beginning of May 2018, I was also appointed as one of the editors-in-chief for our lovely blog bubble.